Since she was a child, Halley has been desperate to escape her simple Midwestern town and reinvent herself. In Middleville, Ohio, the only way to do that is by landing a top-tier position at Findlay Global Manufacturing, Inc. Spending her days as a lowly assistant in a shared cubicle, Halley is ecstatic when a new job opening presents an extraordinary opportunity: a chance to relocate to Europe to launch a new product. For Halley Faust, this job is the epitome of the American dream, and she will do anything to get it. She soon begins to understand that ruthless guile is the only path to success, and the harder she chases after her dangerously decadent American dream, the more her dreams seem to elude her. Ultimately, Halley must decide how much she is willing to sacrifice in pursuit of a life that may very well be a fantasy. 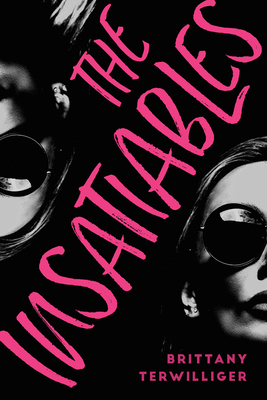 The Insatiables details a young woman’s climb up the corporate ladder and the irrevocable choices she must make to survive. Brittany Terwilliger grew up in the Midwest and earned her B.A. from Indiana University. She spent several years living and working in France and Ireland, before returning to Indiana to attend graduate school. Her debut novel, The Insatiables, will be released in August 2018. She is currently writing her second novel. You can connect with Brittany on her website at www.BrittanyTerwilliger.com and follow her on Facebook.